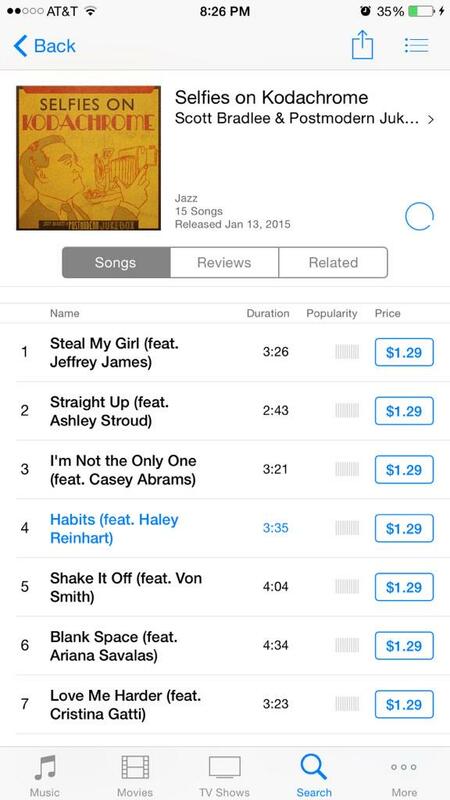 @HaleyReinhart It's on #iTunes already!!! LOVE IT!! Sounds so awesome!! 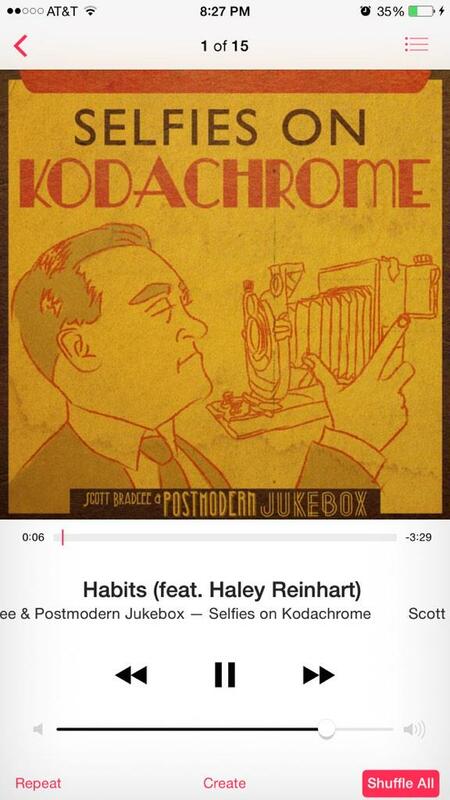 @scottbradlee @HaleyReinhart this was more perfect than I ever imagined thank you so much can't wait for the video!! The clash between how classy Haley's voice sounds and the lyrics is hilarious. It's nice to once again hear Haley's voice recorded directly from the mic. Been too long. This should appease all those people who purportedly 'jumped ship'. We can get back to fully supporting Haley again... I wonder when it will be released? iTunes, midnight east coast, maybe the video released midnight west coast? (01-12-2015, 11:14 PM)mercfan3 Wrote: [ -> ] The clash between how classy Haley's voice sounds and the lyrics is hilarious. The juxtaposition of the lyrics, with Haley's voice and the arrangement is a trip. Lots of lyrics kept Haley busy too. I wouldn't have ever thought I'd hear Haley sing "make it fast and greasy." One of the things that makes PMJ videos special is they are recorded live and there is no splicing of multiple takes together. That reflects well on the artists. It's possible some fans may react badly to the Instagram photo she published and the lyrics to "Habits." While the lyrics are of an adult nature, I enjoy them because they tell a story. I would assume Scott sets up the videos to auto-publish. Last week's video appeared around 4:30 PM central time (2:30 his time). Scott outlined his day tomorrow 4 hours ago on Facebook. Quote: Then, set your alarm for 12 noon to see Haley Reinhart's PMJ video debut. What a day!